Food Safety – Always Our First Priority! At D’Arrigo California, we take food safety very seriously. Since we are completely vertically integrated, we have control from the time the seed is planted, until our product is loaded into our customers’ trucks and the doors have been closed. One of the top benefits of having this complete control throughout the growing and harvesting process, is that we know the history of the land and exactly what it took to produce the crop. We know which crews harvest on each of our ranches. Therefore, we know who is doing the harvesting, what training they have had and to whom the harvested crop is shipped. All commodities that we produce and harvest are audited by independent third party auditing groups. 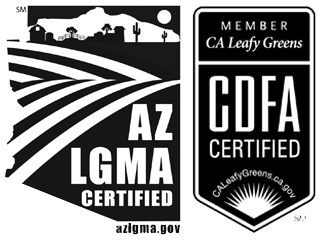 Those commodities falling in the leafy greens category are audited several times per year by the California Department of Food and Agriculture and by the USDA.